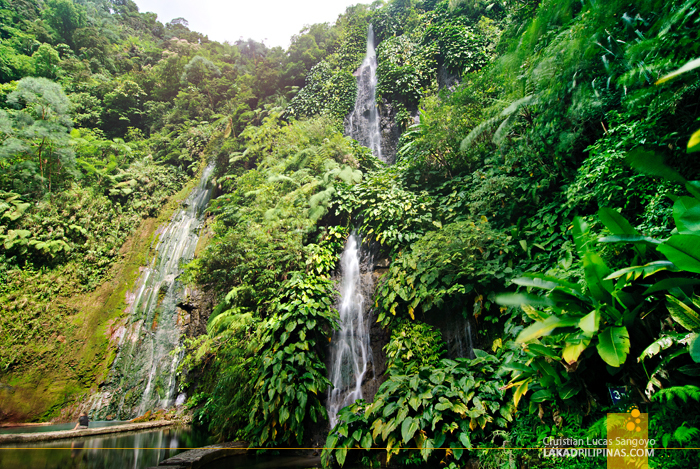 The gushing waters of the Botong Twin Falls welcomed us at one of the most unlikely places. I was invited to join the Philippine Tour Operators Association (which by the way is hosting the upcoming 24th Philippine Travel Mart) media familiarization tour of the provinces of Albay and Sorsogon. And our first stop for our four-day jaunt was the BacMan Geothermal Power Plant. 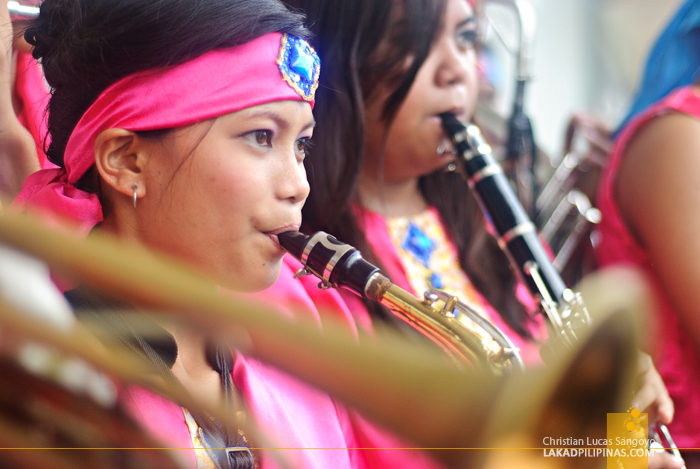 Festive drumbeats, blaring horns and lively dancing greeted us as we exited Legazpi’s airport on our way to the the BacMan Geothermal Power Plant. Everyone was joking with the name of the plant since it resembled a famous DC superhero. Our guide explained that it’s a combination of two towns in Sorsogon and Albay; Bacon (now Sorsogon City) and Manito, where the geothermal plant is located. Aha. To be honest, I wasn’t that excited in the prospect of visiting a power plant. I mean, what can we really see there? Besides, my tummy was already sending signals to my head that it was already hungry. It’s not the earth’s steamy rumble I’m hearing, it’s my stomach. Good thing the guys at BacMan were all aware of this; as soon as we alighted at the power station, lunch, Bicol-style was automatically served. Laings, pangats and Bicol Express were mixed with all sorts of seafood. Yum! After satiating our tummies, we were soon moving again. 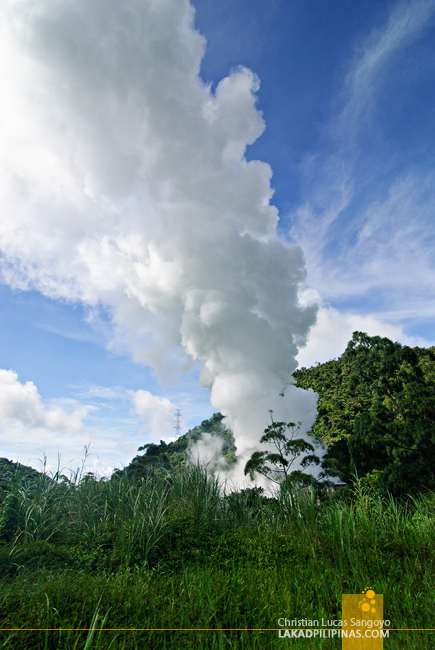 The BacMan Geothermal Production Field has something up its sleeve that we weren’t aware of. 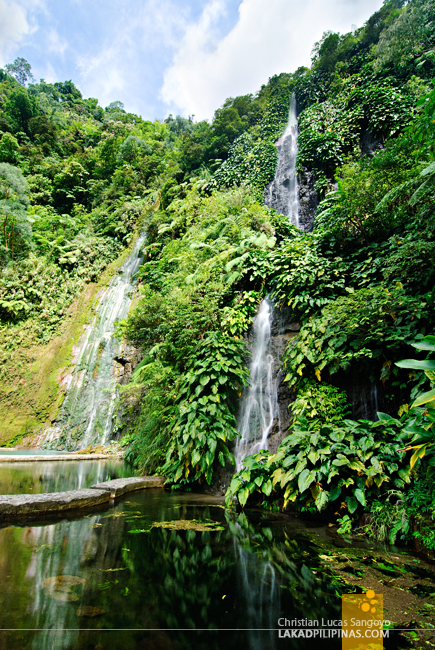 Besides producing power for the whole of the Philippines, it also hosts a bounty of flora and fauna in its 25,000 hectare land area. 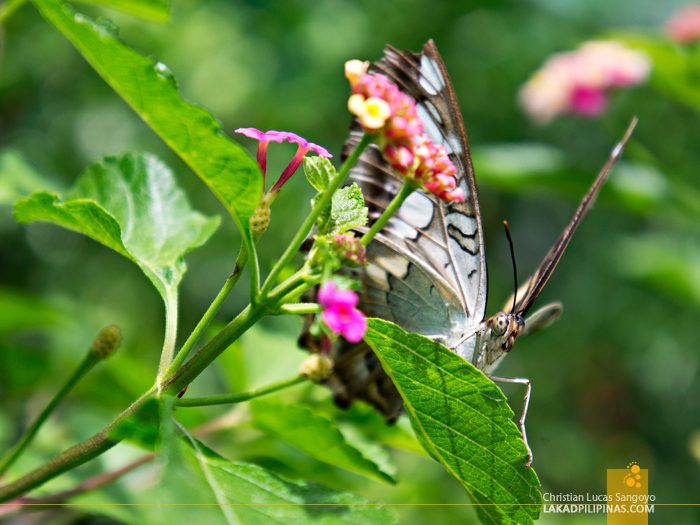 The first of these we visited was their butterfly garden. 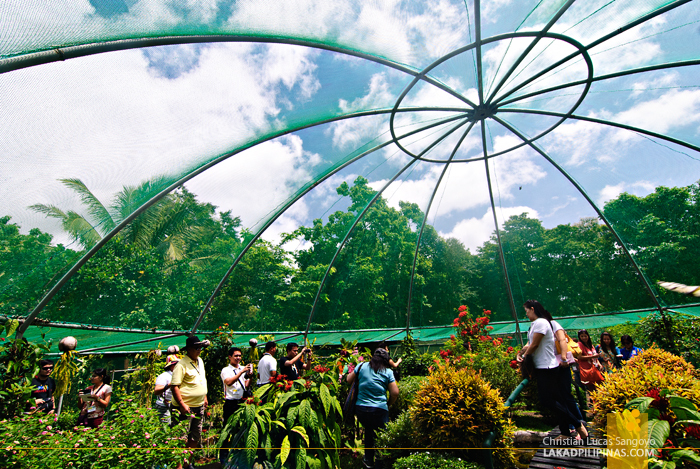 Housed on a 254 square-meter netted dome, the sanctuary has a total of seven different butterfly species and is also used as a plant nursery. The butterfly garden actually acts as a pollution indicator in the area; the air is considered clean as long as the butterflies thrive. Our group then proceeded to BacMan’s Wildlife Conservation and Rescue Center. 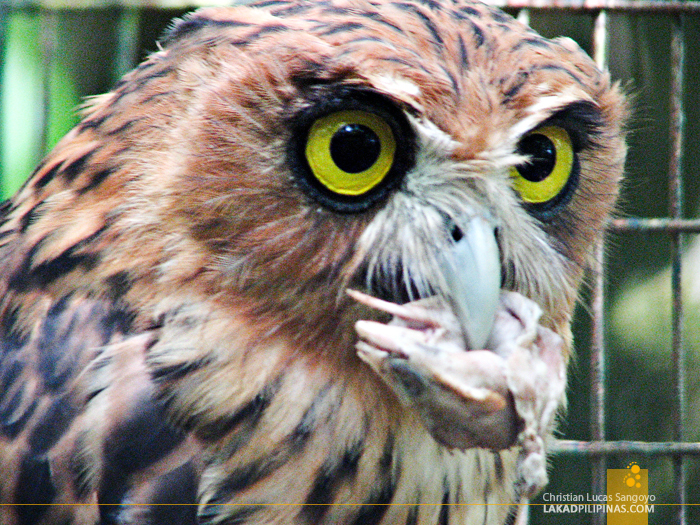 Located in the middle of a heavily wooded hill, it houses bird species like the Philippine Eagle Owl and Brahminy Kite eagles to name a few. The difference between these and some rescue centers is that they actually really release the birds after re-conditioning them to the wild. 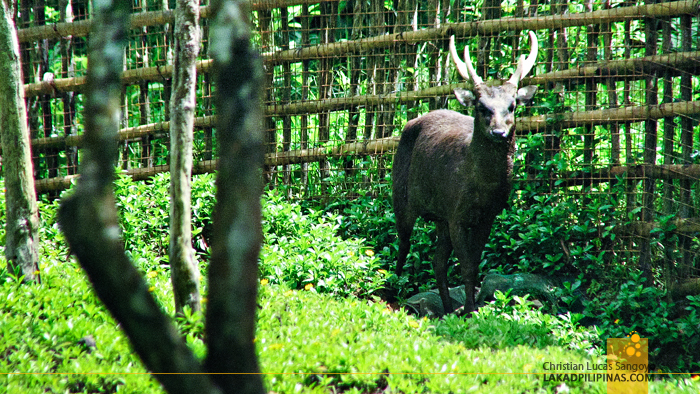 Besides recovering animals from poachers and those turned over by other agencies, the BacMan plant also tries to replenish two of our country’s most endangered species; the Philippine Brown Deer and the Philippine Warty Pig. A large pen holds these two species and visitors are allowed to see them at close range. And then it was time to check out the Botong Twin Falls. I was actually dreading this visit since a waterfall usually equates trekking long distances; I just wasn’t in the condition for such. It came as a complete surprise then that the waterfalls was right beside the road! The weird thing about this hundred fifty-footer twin falls is that while one of it gushes fresh spring water, the other pours sulfuric ones into its basins! Well, I guess I really shouldn’t be surprised since the Botong Twin Falls is sitting on a volcano. And one can’t really deny that we are all sitting on a caldera of a magnanimous volcano. The huge powerful white steams rising from certain parts of the area proves just that. 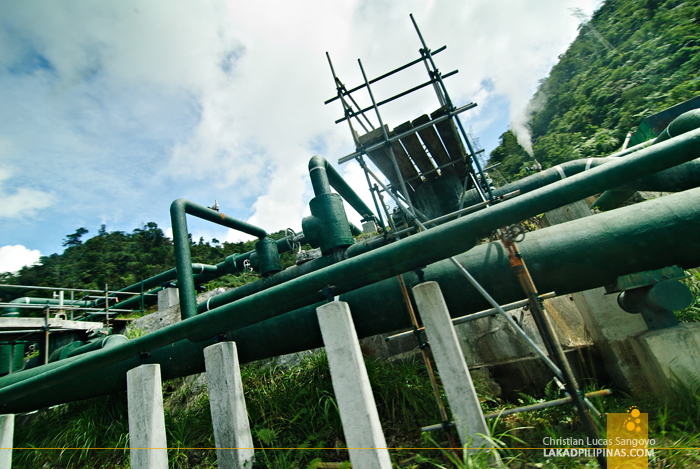 Besides those we visited, the BacMan Geothermal Plant still boasts of other natural attractions that we weren’t able to check out due to time constraints. 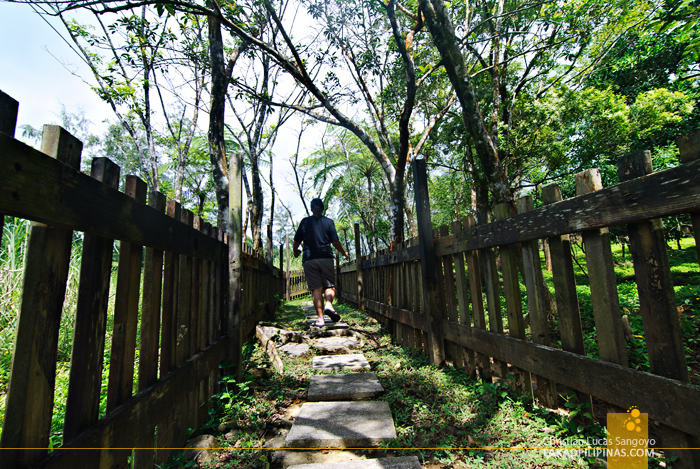 I would’ve loved to photograph the huge Golden-Crowned and Large Flying Fox bats that dot the treetops of the power plant, the Inang Maharang Mud Pool, the Naghaso Boiling Lake and the Parang Hot Spring. 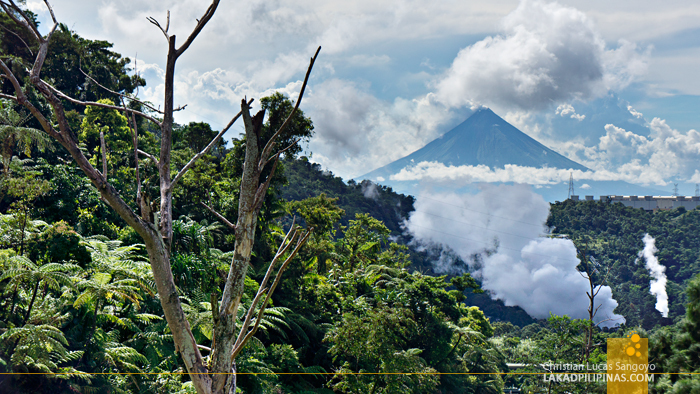 The perfect cone of Mayon Volcano decided to grace our presence on our way out of the BacMan Geothermal Power Plant. It’s quite strange to witness smoke billowing out of the volcano’s mouth while steam also brews out of the geothermal grounds. It was a good first few hours at Bicol’s Sorsogon and Albay provinces and I’m excited for more! GPS Coordinates: +13° 3' 16.88", +123° 58' 2.65"
wow... great shots up there. not sure if the 4th pic is a green house sort of thing? Ok pa po ba na pumunta d2?